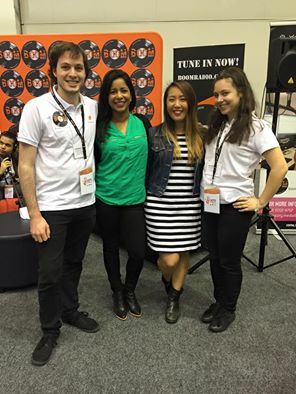 My Kitchen Rules Eva Lean & Debra Ch’ng stopped by the Boom Lounge as the ambassadors for the Skills West Expo 2015 today! Since MKR the program has reignited their desire to follow their dreams and share their culture and love of food with others. Next postThe Top 40 are revealed! !